Hi there, this is Shimizu. 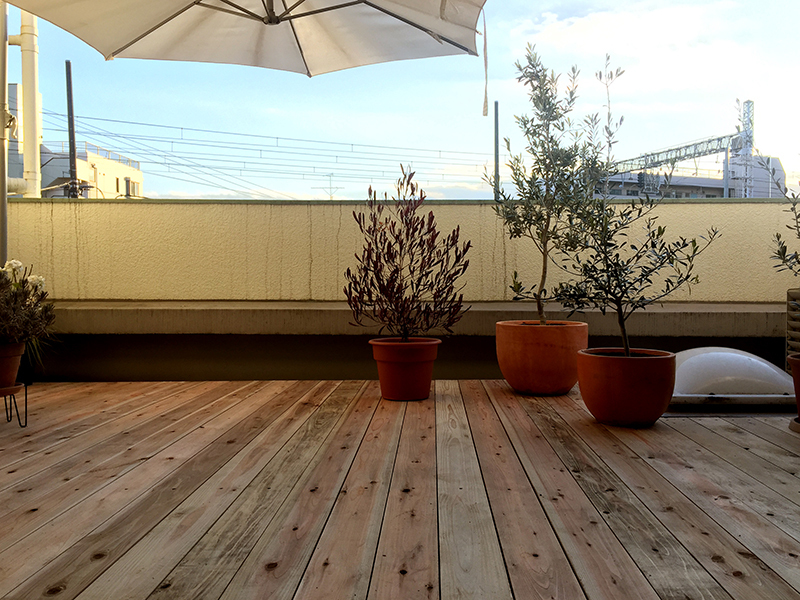 The wood deck for the roof balcony of our studio has been completed at last, after three years of longing ever since we moved to Kichijoji. 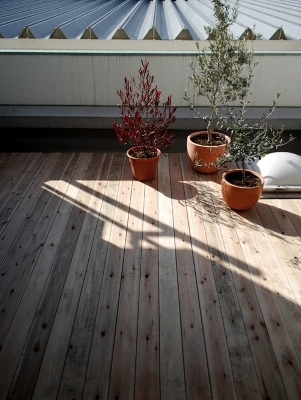 It was designed by Senichiro Watanabe of VOLO, who also renovated my house five years ago. We have known each other since we met in university, and collabrated in some projects such as "La Fabbrica", a guest house in Numazu. 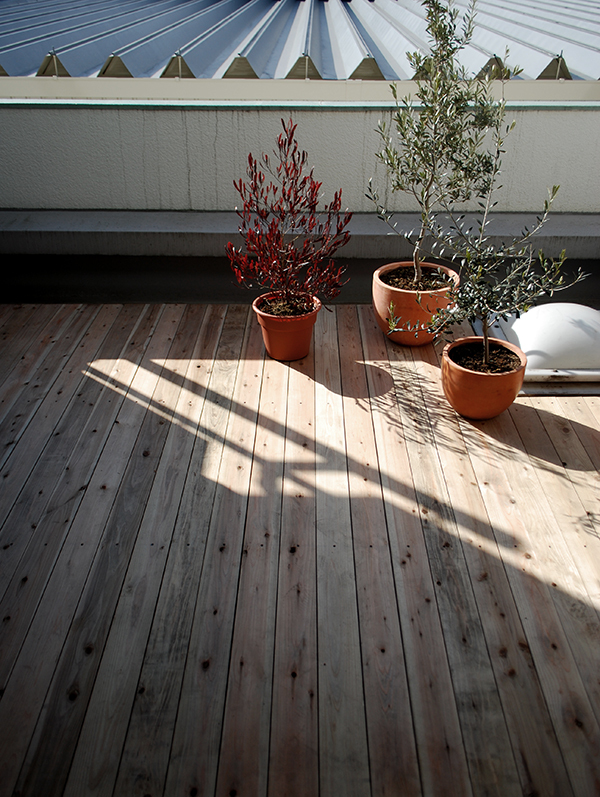 As for now, I'm enjoying the fresh and woody smell of the cedar, and looking forward to seeing the gradual aging too.